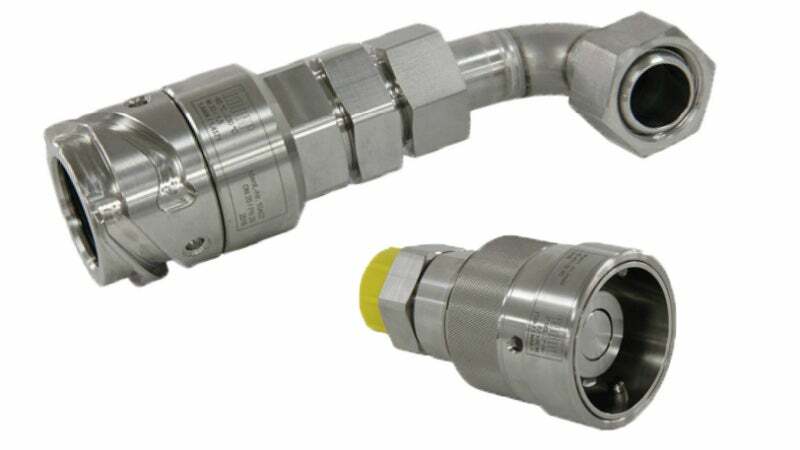 Temperature control hoses are usually used to connect temperature control units to an application, such as a reactor. Using quick-change couplings can be helpful when frequently changing applications. Huber Kältemaschinenbau has developed new couplings, which fulfil special requirements of the temperature control technology and reliably prevent thermoregulation fluid leaks. The quick couplings ensure only minor pressure drops and good heat transfer. If pressure-sensitive glass equipment is being used, an optional adapter can connect a pressure relief device. An ATEX 2 permit for zone 2 is available upon request.